The ability to tether out our smartphone (or tablet’s) cellular connection is of massive convenience, and can sometimes be a great life-saver when the primary source ceases to operate. If you experience a power-cut, for example, the chances are, use of your Wi-Fi hub is cut with it, leaving you with no option but to use your smartphone – provided, of course, you keep it topped up with ample amounts of juice. 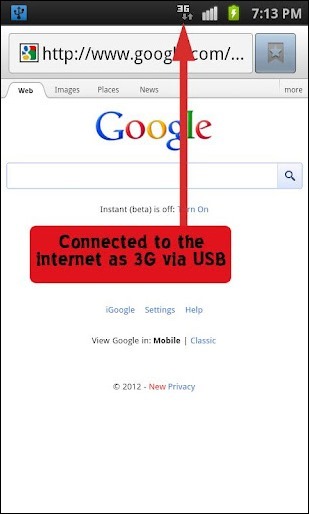 There aren’t many apps, however, which work the other way round, allowing your device to use your computer’s connection. Why not just hook up to the same Wi-Fi as the computer? I hear you cry. Well, in some circumstances, this isn’t always a possibility. For example, not all connections – as hard as it may be to believe for some – are Wi-Fi, and some do still connect via DSL modems instead. Although most do have their own Wi-Fi hotspots, these are often weak, and if you have a limited plan on your device as well, your chances of browsing the web on your Android device are very limited indeed. In such instances, Reverse Tether for Android could be just the solution. So long as you’ve your USB recharge / sync cable in hand, you can take advantage of your computer’s fast, secure internet connection without incurring any extra charges. Once you’re online, you can continue to play games, browse the web, sync mail, or download updates without any hassle at all, and although Reverse Tether does cost five dollars, there’s a free trial version allowing you to preview the product before parting with any money. Of course, in order to establish the connection, your Android device must be rooted. 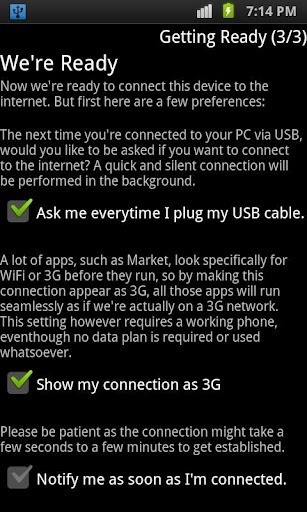 Additionally, it will only work on devices with a tether option, and your desktop will naturally need to have an internet connection. There’s no additional software requirement on the part of your desktop/laptop, and all you’ll need to do is edit Network Connections (explained in more detail in-app). Secondly, there’s a tougher around it which you can check out here, though we’d recommend you go with the Reverse Tether app, since it offers a free trial and it’s hassle free. Download it, give it a whirl, and let us know how it runs for you by dropping a comment via the usual mediums below.